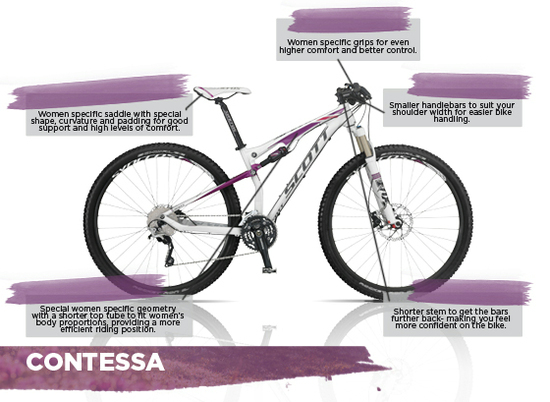 Welcome to the SCOTT Contessa World for female mountain bikers. During the past decade, mountain biking has evolved to become a very popular sport. Although there are many learning techniques that exist, these are sometimes hard to understand and not always well adapted. So all season long, we will show you everything you have to know about bikes, riding technique, equipment, training and nutrition. Since their invention in the ’70’s, mountain bikes have changed a lot, going from robust multi-functional bikes to high-tech sport machines. The suspension technology in particular has opened the door to a new dimension of riding, comfort and fun. Nowadays, there are so many different bike types for so many different uses. Fabricants and special interest magazines usually divide mountain bikes into the following categories: Cross Country, Marathon, All Mountain, Enduro and Freeride. As of recent, you can find women specific bikes with adapted geometries, parts and suspensions for each of these categories. You need a Contessa Scale 900 RC or a Contessa Spark 900 RC from the Cross Country/Marathon category. specific saddle, this is a fully capable racer. perfect partner for marathons, stage races, and all day fun. 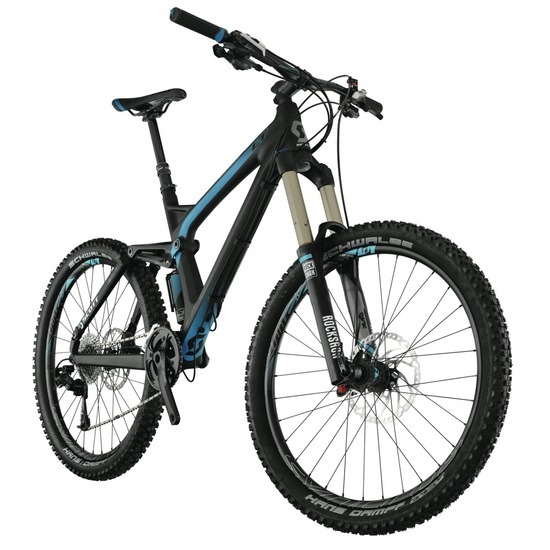 Because of its front and back suspension, a full suspension bike, or “Fully” is normally about 1 kg heavier than a comparable hardtail which only has a front suspension system. However, the comfort of a Fully will allow you to save strength, will give you more confidence and will bring you much more fun. 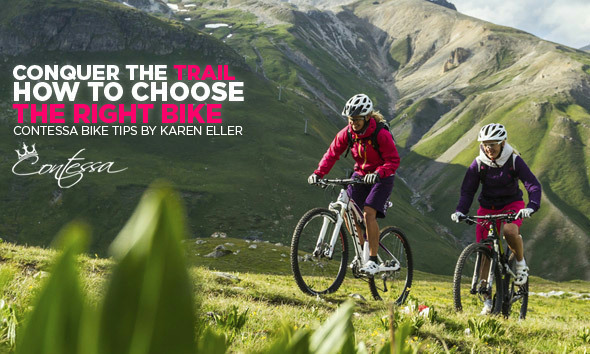 In most cases, mountain bikers (particularly women) are better off with a Fully. 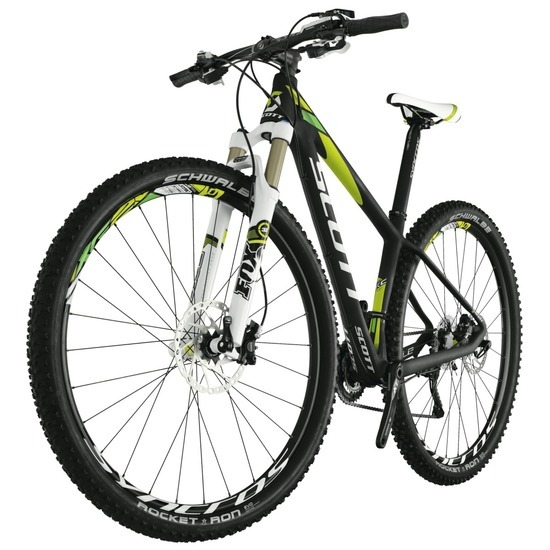 Nevertheless, if you are planning to race Cross Country or if you have a small budget, you should go for a hardtail. You want to ride fast but with comfort. Above all, you want to be able to ride anywhere. You like riding downhill, especially on technical trails. 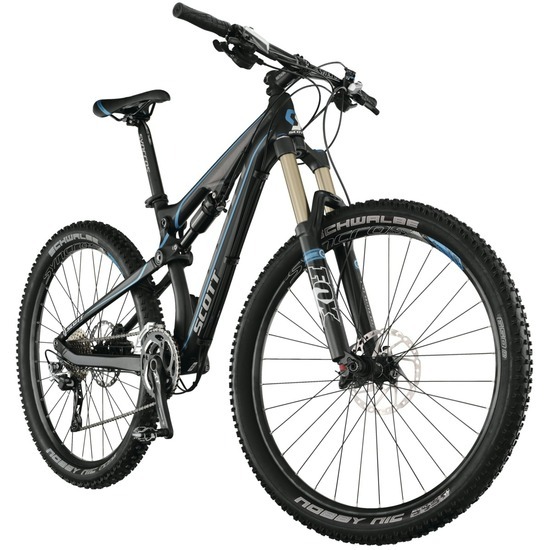 You need a Contessa Genius 700 from the All Mountain category. lightest, most reliable 150 mm travel trail bikes available. Downhill for you is the icing on the cake, along with rough terrain. You don’t mind riding uphill and you take it rather easy, but when it comes to downhill, no more courtesies! 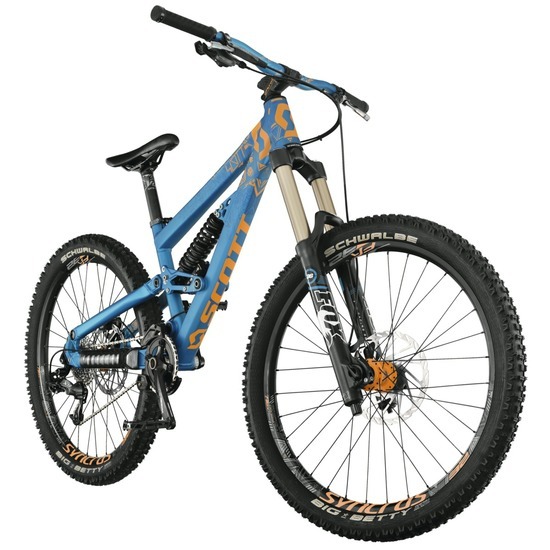 You need a Genius LT 20 from the All Mountain/Enduro category. uphill before you shred back downhill. You know bikparks by heart. Downhill, adrenaline, jumps, drops and banked turns are your best friends. 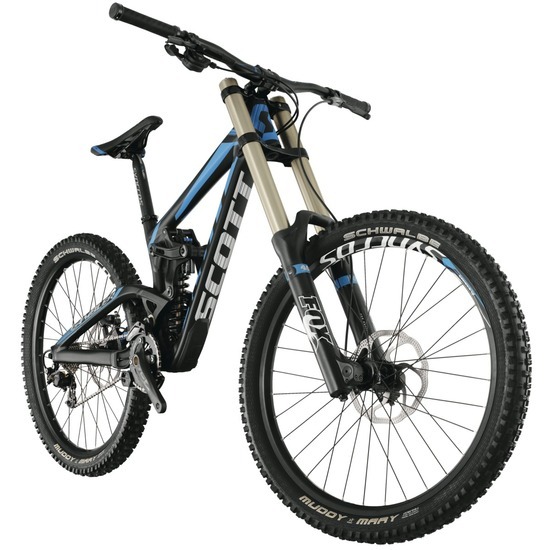 You need a Voltage FR 10 or even a Gambler 20 from the Freeride category. stash, ride it your way. ratio. Ride like a pro, at a better price. When choosing a mountain bike, geometry and intended use are crucial elements. The alchemy between the rider and her bike should be perfect. Think about what you exactly want to achieve with your bike. Clearly, a bike to ride on flat Sunday tours will look completely different than the one you would ride on your next bike trip to Lake Garda. And if you are planning a marathon, your ideal bike will once again be totally different. Have you yet decided how you want to use your mountain bike and defined what your biker profile is? Then ask yourself the next question: Where is the best place to buy my new mountain bike? Where do I get my bike? If you already know what type of bike you are looking for, you can go to your local SCOTT dealer to get more detailed advice. In order to determine the correct frame size, you have to know at least your height and inside leg length. Your weight will also be important when defining what suspension you need. 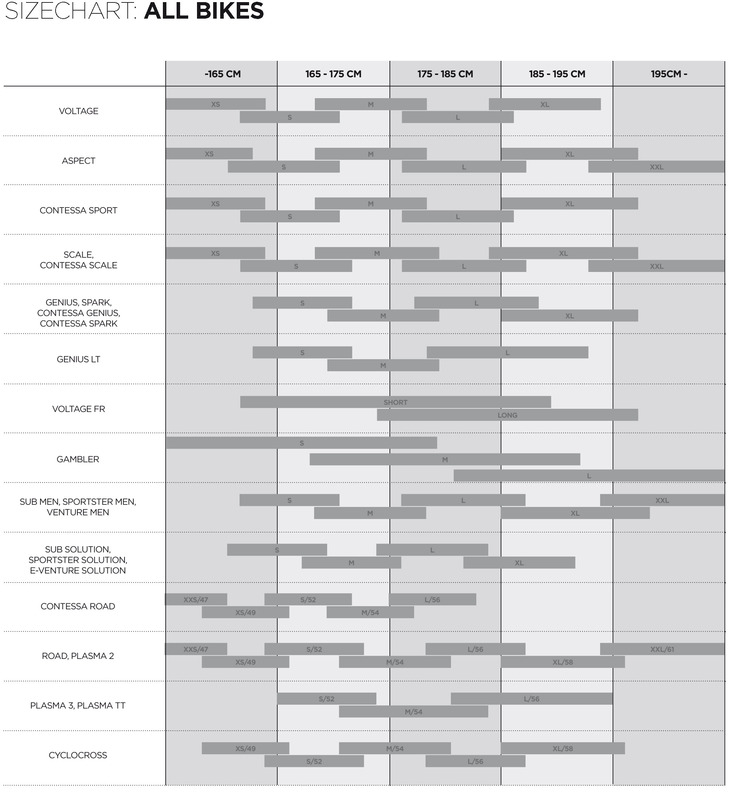 Choosing the right frame size is the first and most important stage of buying a bike. The size is measured in inches, centimeters or simply translated in Small/Medium/Large. You can refer yourself to the size chart. But don’t buy a bike without testing it before. Maybe your local bike shop has your dream mountain bike ready to test. You can also test bikes at bike festivals or at Contessa events. Check the events calendar on www.scott-sports.com/event or on www.dierasenmaeher.de. The more athletic your ambitions are, the more money you will have to invest. A more expensive bike is also often lighter and easier to ride, so it brings you more fun. Of course, there is no upper limit, but the most expensive one is not necessarily the best one. You will find a good quality/price ratio in the middle of the price scale. 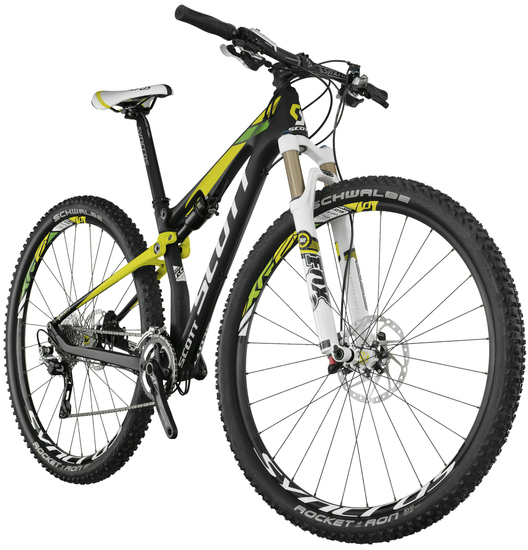 At this point, you should know everything that you need to find THE mountain bike that fits YOU. Have a look on SCOTT’s website to get a better idea! I wish you lots of fun on your new bike!